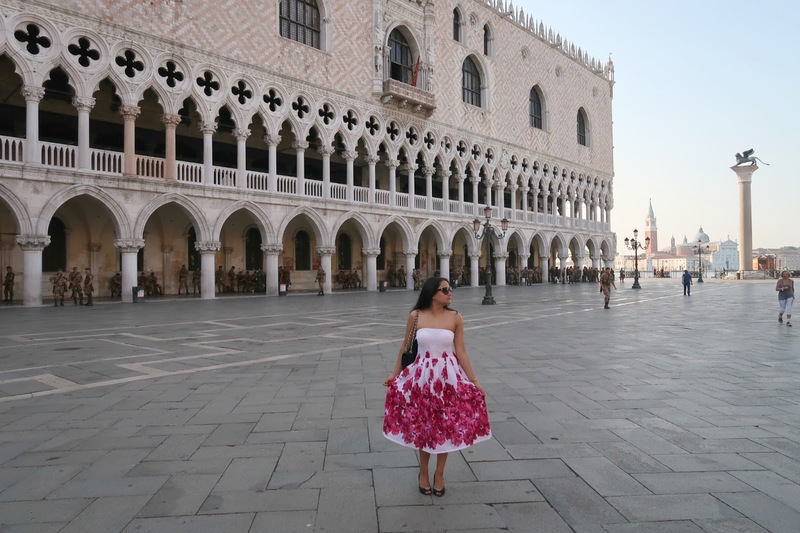 If you follow me on Instagram (@radhikarecommends) you'll know that I recently went to Venice for a city break with one of my university friends. 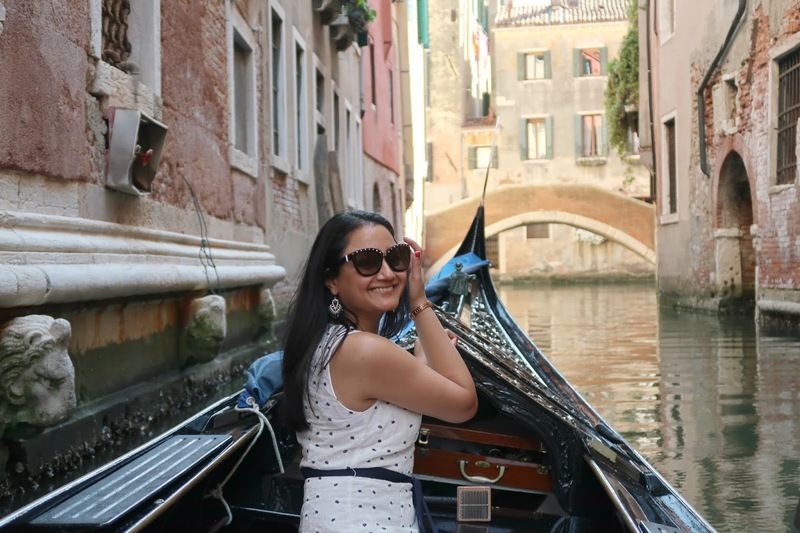 It was lovely and hot in June and I wanted to share my top travel tips and the best things to see in Venice if you have a short amount of time. I was there for four days, which in my opinion, is plenty of time to see the best sights and also have time to relax and take it all in. We were lucky enough to find a hotel that was literally a few metres away from the main Piazza San Marco (St Mark's Square). It's very crowded in the day, but I would recommend getting there early to take photos. The stunning architecture of the Bascilica San Marco and Doge's Palace can be admired from the Square, as well as the Campanile Tower. 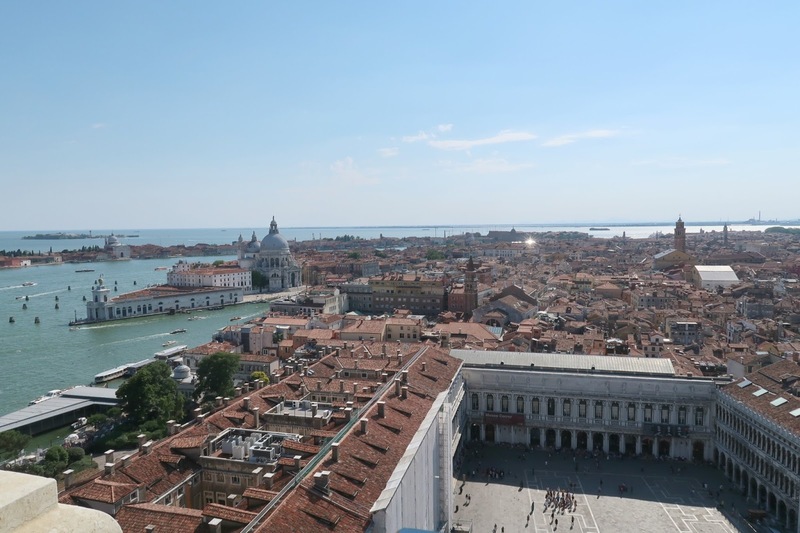 If you want fantastic views over the whole of Venice, I would recommend going up to the top of the tower in Piazza San Marco. Although it's very windy when you get up there, you can't beat the views over the city of Venice. A lot of people don't get to see the hidden gems near Venice, but Burano island is a beautiful island full of buildings in pastel and bright colours. It's lovely to walk around for the morning before it gets too hot. There's also some great lace shops and restaurants to stop off at for lunch. This museum was actually the first attraction we went inside and it was one of the best. The art on the ceilings was breathtaking and the history behind the Palace is fascinating. I would highly recommend visiting. I know some may find it cliche but the gondola ride I went on was so good! It's a great way of seeing Venice and all of the canals and you get some great photos. It can be very expensive but highly worth it. Have you ever been to Venice? What did you enjoy the most?